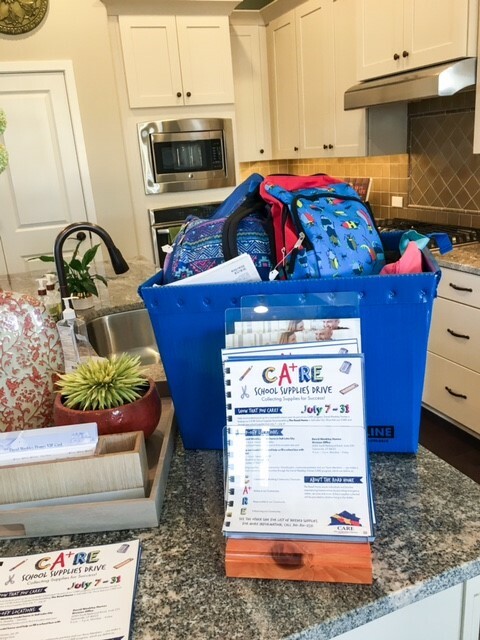 Salt Lake City, UT (August 22, 2017): David Weekley Homes hosted its third companywide CA+RE School Supplies Drive in 18 cities across the country. In Salt Lake City, school supplies were collected for The Road Home, an organization that assists individuals and families experiencing homelessness by providing emergency shelter, services and more. Approximately $1,500 in supplies were collected from David Weekley Homes team members and their family members, homeowners and real estate agents during the drive, which benefited around 40 children. After collecting the donations, team members invested 32 hours sorting the supplies and delivering them to the organization to ensure the supplies would be distributed in time for the students to begin school with the tools needed to be successful. David Weekley Team Members donated school supplies to The Road Home.